Since 2002, WorldFish has run a breeding program in Egypt for a faster-growing strain of Nile tilapia, known as the Abbassa improved strain. The strain was produced using a methodology developed from the WorldFish Genetically Improved Farmed Tilapia (GIFT) breeding program. 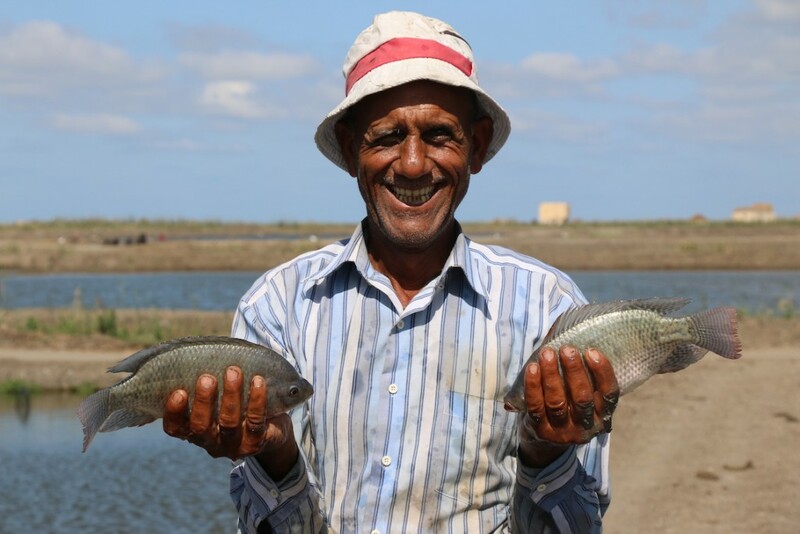 Dissemination of the Abbassa strain has benefited many farmers in Egypt, the second-largest tilapia-producing country in the world. Many Egyptian farmers had previously relied on poor quality seed leading to low productivity. 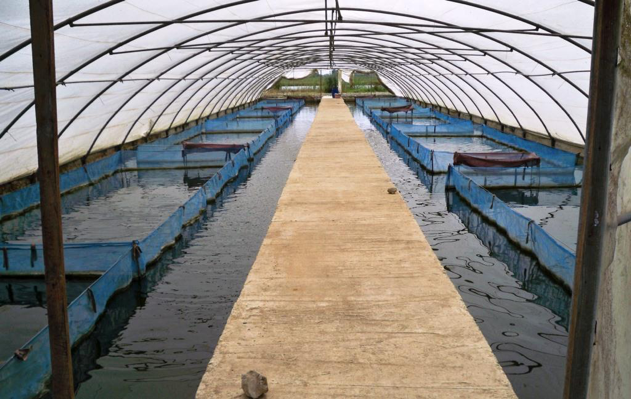 Results from the Improving Employment and Income through Development of Egypt’s Aquaculture Sector (IEIDEAS) project show that use of the Abbassa strain by fish farmers has helped increase yields by 5 percent (t/ha) and improve farm efficiency. In 2016, with funding from the CGIAR Research Program on Livestock and Fish, WorldFish continued to develop the Abbassa strain by shifting to a winter breeding cycle and preparing to produce the 14th generation. The Abbassa strain breeding program is based at the WorldFish-run Africa Aquaculture Research and Training Center in Sharkia, Egypt. 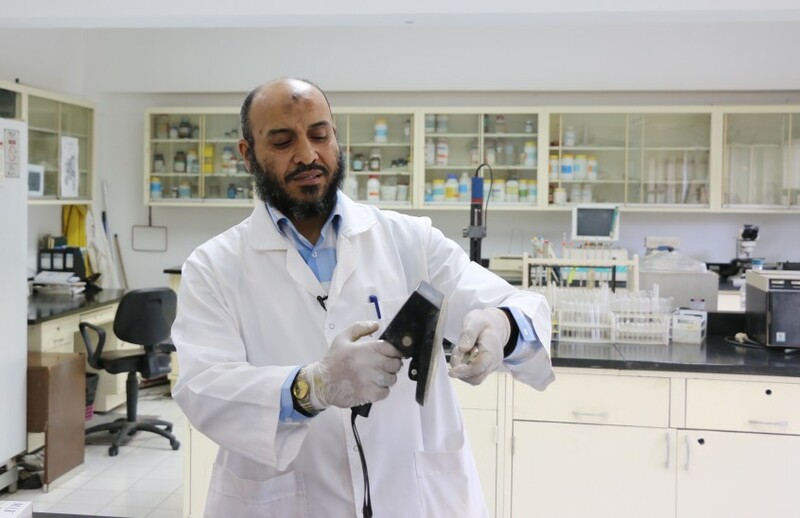 Spread over 62 hectares in the Nile delta, the center’s facilities include 150 earthen ponds for research and training, a number of indoor concrete tanks, and workshop training and educational facilities. 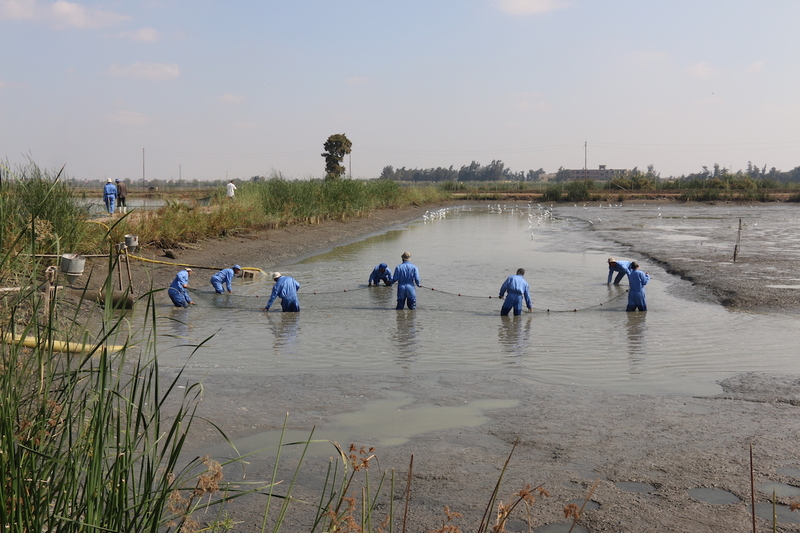 Pond workers collect fish to move to a different pond at the WorldFish research center in Egypt. Kate Bevitt, 2016. Until mid 2016, the breeding cycle for the Abbassa strain breeding program had always occurred in summer (July to October), when warm water temperatures make it suitable for fish to reproduce and grow in outdoor ponds. Yet because hatcheries and farmers also follow a summer breeding cycle, the Abbassa strain fry produced at the end of summer cannot be multiplied out by hatcheries or distributed to farmers until eight months later, at the start of the following summer. During winter (November to March), when the water in outdoor ponds is very cold, the fry are placed in indoor nurseries for two months. 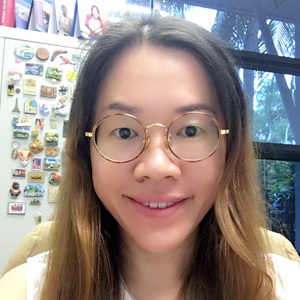 But during this time, it’s not possible to conduct large-scale experiments that replicate commercial or on-farm conditions, meaning five months of possible research time is lost. Tilapia fry, Egypt. Heba El Begawi, 2013. 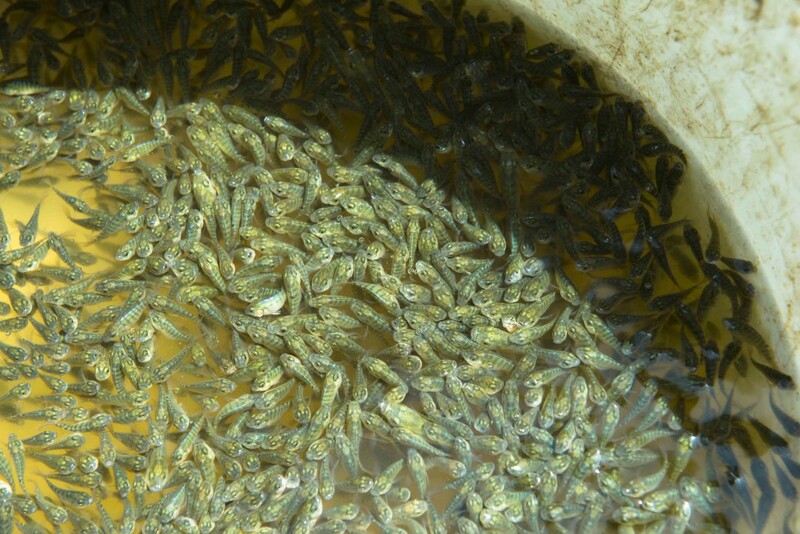 To make Abbassa strain fry available at a time more suited to end-users and enable experiments to be conducted all-year round, WorldFish decided to shift the breeding cycle to winter. This enables another four months of grow-out to study the growth rate during summer. This year, the Abbassa strain has been grown over two seasons, i.e. winter and summer. The two sets of data will enable us to study the relationship between the growth in winter and summer. To make breeding possible in winter, eight greenhouses were constructed. These large greenhouses, which sit over the ponds, keep the pond water warm enough for fish to reproduce. In early November, following harvest of the 13th generation, all fish were stocked in greenhouses to rest. During this time, the researchers collected data on individual growth performance. This data, combined with data on their parents’ and ancestors’ performance, were used to produce an estimated breeding value from which the ‘mating list’ for winter 2016-17 was created. According to this mating list, the selected broodstock were placed in the greenhouses for two weeks to be conditioned for mating – by moving male and female fish into separate net-cages and feeding them well. Mating of the 14th generation will begin in mid-January 2017 and harvesting will occur in October. Recently in Egypt, the market price of fish has remained steady, while the cost of inputs such as fish feed have tripled, and continue to rise. The use of the fast-growing Abbassa strain helps farmers cope with this mounting financial pressure by boosting yields and reducing feed costs. Fish farmer Samir Seliman Ali from Kafr El-Sheik in Egypt with some his tilapia. Kate Bevitt, 2016. The IEIDEAS project report, projects that use of the Abbassa strain will spread to almost all Egyptian fish farms within five years, as it is the only genetically improved Nile tilapia available to fish farmers. The report authors estimate that in the near future farmers should be able to see a 20% increase in production as a result of stocking the improved strain. The continued breeding, experiments and improvement of the Abbassa strain in 2016 and beyond therefore ensures that fish farmers can reap the benefits of faster-growing and hardier fish and have sustainable, thriving livelihoods.